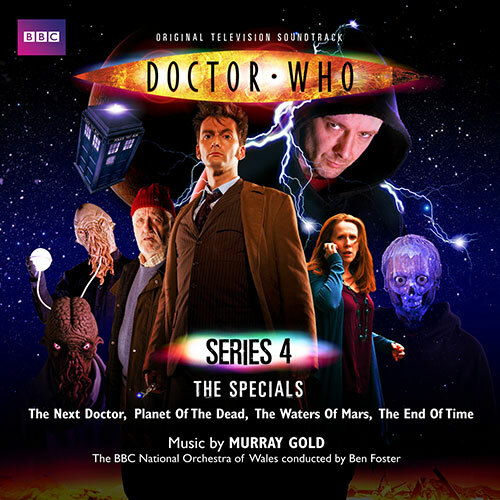 Murray Gold’s powerful score for Doctor Who is widely regarded as a major element in the revival of the BBC’s classic award-winning series. David Tennant’s departure as Doctor Who was one of the most watched programmes of Christmas 2009. Featuring some of the most inspiring music from the BBC’s cult series, this 2 CD set brings to a close the David Tennant era of Doctor Who. Disc 1 includes selected cues from The Next Doctor, Planet of the Dead and The Waters Of Mars. Disc 2 is entirely given over to The End Of Time Parts 1 & 2 and features “Vale Decem”.